I felt the same way coming to work at camp as I had felt going to youth group for the first time: out of place. It had always been hard for me to jump into new things. I really wanted to work at camp because some of my youth group friends always talked about how great it is, but I had no clue what it would be like. The first day of staff training was so incredibly awkward and uncomfortable for me. I had showed up late because I had to write an exam, and immediately I was put into a work group to do some cleaning. As embarrassing as it is, at 16 I had no clue how to properly clean a toilet, so I had to ask someone to help me, which was not something I wanted to do. Between sessions of staff training, we had some free time. What does one do when they have free time but don’t have any friends or any idea where anything is? I followed a group of people to the gazebo, and awkwardly sat there as they all talked about their past summer camp experiences. Occasionally I laughed at the jokes people were making, but I mostly stayed silent and “who even is this girl?” probably crossed their minds at some point. A little bit later I was hanging out with a couple of girls, and quickly learned that I would not click with everybody I met, no matter how hard I tried. And I once again questioned if I would belong here. It’s crazy how much things like this can change, and I’m really glad I didn’t give up after the first day. Over the past 5 years, and 5 summers, I have met some of the best people I’ll meet and some of the best friends I’ll have. People who make me feel important, and special. Of value. Deeply cared for. Someone that matters. I used to be terrified of the majority of the people on the Leadership team I have now joined, and never would I ever imagine that they would become some of my favourite people. It is so nice to be a part of a team that makes you feel like you have good things to offer it. A team that cares about how you’re feeling. A team that values your opinions and ideas. A team that you belong with. 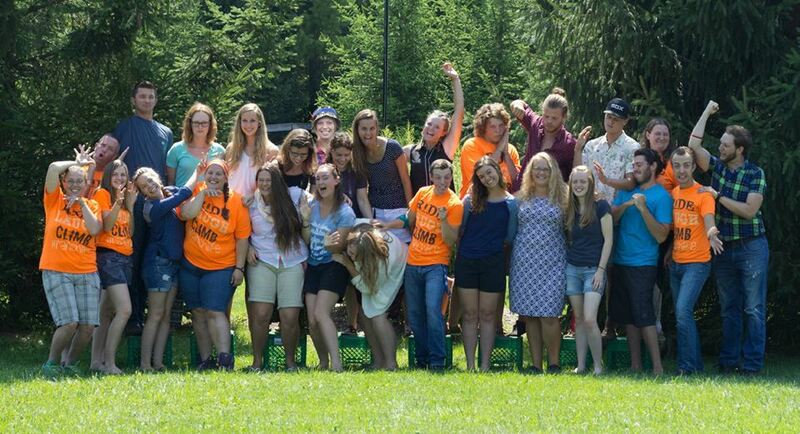 Camp has become my home, and the wonderful group of people I work with and do life with have become family to me. I have had so much support from these people in my life, and I have received so much mentorship. I’ve come to realize that this community is so special, and rare. And something that will be so special to me throughout my entire life, even if we part ways. I have been so blessed. The week before I came to Peru was chaotic and there were a lot of things I needed to get done. And for my dear friend Felicia, that meant driving me around to many different places to tie loose ends (I cannot thank you enough.) She has shown me exponential amounts of support. A few days before I left for Peru, I was reminded of just how loved I am. I have friends who will actually miss me while I’m gone. People who will notice my absence. And I know that sounds like something I should already know, but sometimes I don’t believe the empty “I’ll miss you”‘s. But the people I see every day have expressed multiple times that they will miss me, and I believe it. And I’ll miss them too, because we’re family. In fact, Felicia called me not once, but twice after I had left for the airport. Once in the car, and once when there was 1 hour until takeoff. “I miss you already” are her words just 5 minutes after I left. And while she was obviously kidding, it made me smile really big. It is so good to have people who will miss you when you’re not around. And so good to have people to miss. People who bring you joy and affect your atmosphere by just being there. What a blessing it is to have somewhere to belong. Part 1 of Belonging: Worthy of Being Missed. “I don’t belong here and everyone knows it” was my anthem thought whenever I went to a new place or started something new. Having nothing to offer and having no clue what was going on, or what to do or say. For a really long time, I felt like I didn’t “belong” anywhere, in any of the groups of people I had known. There were a lot of people who loves me, but i didn’t feel valuable or “of wiry get” in my circles. I’ve felt this way many times in my life. One of these times was when I went to a youth group, called LiFT, for the first time. My two friends and I entered the church, walked to the youth room, and sat down by ourselves. We passed lots of people, not looking up or stopping to greet any of them. I don’t know why, but I used to be really afraid of talking to new people. I didn’t really expect anyone to talk to us. I mean, they all knew each other already, they knew how youth group runs, and they all knew so much more about Jesus than we did. And when the youth pastor came to talk to us, we were surprised and also really awkward. It was probably awkward for him too, having to deal with our empty one word responses. We appreciated his effort but we were just not good at jumping in. And for a while, it felt like we weren’t really going to fit in. “You know, you’re not going to feel like you fit in if you don’t include yourself.” He said to us unexpectedly. We got really quiet, because we knew he was right. It was really good to be challenged by him in that moment, and it was really hard to step out of our comfort zones. Sometimes it still felt like weren’t ever going to jump in and belong. But eventually, we did. We got to a place where we were really good friends with everyone in the youth group. We laughed, talked and learned together. And when we weren’t there, they told us that they missed us. They noticed our absence, and they missed our presence. They cared about us. That was huge for me to realize. We mattered there and we belonged. My friend and I often talk about those days and all the crazy things we did with our friends from youth group. And when he talks about specific memories that happened because me and my friends were there, I’m reminded of that this was the first time I felt I was an actual valuable part of something. I mattered, and I was important. I belonged with that group of people. And I am so happy they taught me to see myself as valuable, and worthy of being missed. Some of the friendships I had made in youth group followed me to camp. (Well, technically I followed them), a place where I also experienced belonging in such a huge capacity. Tomorrow I will be writing about belonging at camp. A lot of my time is spent thinking about where I am, and how I got here. I reflect on the decisions, situations, and people that have come my way and how each of them has been so vital to my story. Every time I think about the events leading up to certain moments I am always unbelievably amazed. It will never not blow my mind when I think about how everything comes together and how certain things would not be if other things didn’t happen. Sometimes our lives feel like a chain reaction – one action or event sparks the next. I think a lot of people believe that all these things are coincidences, and things that we have chosen for ourselves. But there are so many times when things come together in the most unexpected, unexplainable, amazing way, and I know that there is a bigger picture here. There is a loving God who cares so deeply about the intricate details of our lives. He has such special plans for each life. He has places for us to go, people for us to meet, things for us to see and hear and feel. Friends for us to love, and be loved by. Things for us to be passionate about. Words for us to speak. It’s 4:00 in the morning, and I’m currently sitting in an airport in Lima, Peru, sitting across from a seriously amazing friend of mine – who in this moment, I cannot imagine lacking her friendship. I would not be sitting here if it wasn’t for her friendship this past summer at camp, as well as another lovely girl, who is the whole reason we are even in Peru right now. 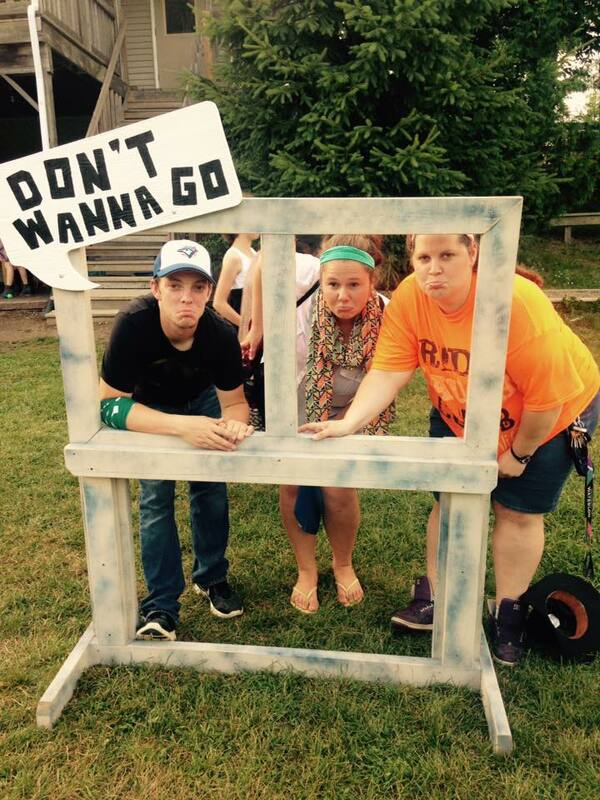 I would not have been at camp last summer if I hadn’t spent the last 5 summers working and volunteering at camp. I would not have continued to come back to camp each summer if I hadn’t met such incredible friends and mentors to love me and build me up, making me feel so important and valuable. I would not have worked at camp at all if I hadn’t started going to youth group where I met some amazing people connected to camp. I would not have gone to youth group if I hadn’t given my life to Jesus. I would not have come to know Jesus if it weren’t for that incredible act of obedience when my best friend’s grandma invited us to her church. What if I never had that friend? What if I had declined the invitation to go to church? There are so many “what if” questions that I can think of, but I don’t really need to ask them. Jesus holds my life in his hand and every day of my life has been ordained by him. When things seem coincidental to me, it is so much more than that. The biggest “what if” question that has popped into my head throughout the past 7 years is this – what if I hadn’t given my life to Jesus? Jesus literally dragged me out of the life I was living and brought me into light. To a lot of people it seems like a thing I chose to happen, but God had some really important plans for me. And for you. He wants us to know him. It wasn’t by chance that all these circumstances came to me. It wasn’t luck, or good decision making. It was all planned by a Father who cares enough about me to pull me out of where I was and call me his child. So here I am, in Peru, and I’m going to be here for 6 weeks, and I cannot wrap my head around it. If you had told me 5 months ago that I would go to Peru on October 28th, I would tell you that’s not in my plans. But it became part of my plans because of remarkable friendships I’ve made this summer. Friendships that were planned by God. I’ve been traveling for about 12 hours now – I’ve eaten airplane food, given blank stares to those speaking to me in Spanish, and shared some very exciting moments with my friend. I cannot wait until we arrive in Puerto Maldonado tomorrow (well, technically today) and see our wonderful Tati and her family. I am so excited for this next month in Peru, and so excited about the way God’s plans work. I cannot wait to unwrap the plans He has for us during this trip, like an unpredictable, surprising, wonderful gift. Sometimes I actually have no words. In fact, this blog post came about because I currently have no words. I cannot think of a single story, lesson, or struggle from camp to write about. But thinking about not having any words reminds me of times this summer, and past summers at camp, when I didn’t have any words. When I didn’t have the “right” words. When maybe I used the wrong words. Months before camp, I began creating devotions for our Day Camp program. Typically, they would include a story or object lesson, and lots of questions following to make the lesson super interactive. I love creating devotions. I was so excited that I could make them what I wanted them to be, and it always felt like such a victory when a devotion would come together so nicely and seem perfect. There were 4 themes this summer in Day Camp, each containing 5 devotions – one for each day during the week. The themes were Superheroes, Pirates, Wacky, and Mad Science. I began with Superheroes, and writing these devotions felt effortless. I was amazed by how everything was coming together and the devotions made a lot of sense. I talked about Moses, and David, and it felt so natural writing about heroes of the Bible, and the ultimate superhero: Jesus. I was seriously enjoying creating these devotions, and I knew the kids would love them. Then I moved onto Pirates, and while it was a little more challenging, they too came together quite nicely. The main focus for the week was treasure – the Bible is a treasure map, Jesus is the best treasure, we are treasured by God, etc. I had lots of stories and activities planned, and I was loving it. But it was getting harder. I started writing the Wacky devotions, and they started off strong. I talked about people from the Bible who seemed a little “wacky” to others but pleased God with their actions. I wanted to get the message across that it doesn’t matter what others think about us when we are serving Jesus, and sometimes we might seem a little “wacky” to the world. When I got to day 5 of this theme, I struggled so hard to find the words to say. And when it came time to write the Mad Science devotions, I had no words. I think I knew that this would be the hardest set of devotions to write, and that’s why I chose to write them last. Bad idea. I thought about it for so long, I did lots of research, I found Science experiments, but it just wasn’t happening. I literally tried to pull devotions out of Science experiments for so long, but my brain was fried, and I had no words left. Also, I am not a very “Scientific” person, so relating Science to Jesus was really hard for me. In fact, it was so hard for me that I actually wanted to give up on this theme altogether. I wanted to scratch it, and choose another theme. I literally felt that there was no possible way I could get them done. But with the help of some of my amazing fellow staff, I did. And it turned out, that the Mad Science devotions were my favourite set of devotions. And I was really glad that I didn’t give up. Right now, I’m kinda feeling the same way about the #write31days challenge. I believe that I started off strong, and now I’m running out of ideas, running out of words, and it’s a battle to spit out a blog post every day. I’ve skipped a few days, and I almost skipped today. Sometimes, I really want to give up. I enjoy writing but it is so hard to do when you have no words. When you have to dig deep and conjure up something interesting to say. It’s a miracle that this post even exists, no matter how weak the content. My posts are slowly starting to become worse and worse. Even the way I write has decreased in quality – I am carelessly and mindlessly typing away just to get enough words out of me. I hate that I feel this way, because some of the blog posts I’ve created, I have loved writing, and I love reading. This challenge has been so good for me, no matter how hard it has been. It has helped me fully process situations from my summer. It has helped me let out all the crazy stories inside of me. It has challenged me to be vulnerable and authentic, and brave. To let others know what I’m thinking and feeling. This challenge has simply challenged me, and it’s a really good thing. Because I’m good at giving up, and not good at convincing myself not to. But I know that someday when I look back at these posts, I will be really glad that I didn’t give up. Just like I was glad I didn’t give up when writing the Mad Science devo’s. One of the main reasons I even started this challenge is so that I can look back on this later and have a collection of summer stories, and camp thoughts to remember. But if I give up, it will only be a memory of another time that I’ve failed. And I really don’t want that. So, it’s getting hard, and my word well is almost dry. But I won’t give up, no matter how busy I am, or tired, or lazy, or simply speechless. There are so many verses in the Bible that are almost creepily relevant to the work done at camp. Over the years I have come across lots of scripture that has helped me not only deepen my relationship with Jesus, but also deepen my intentions at camp. Today I decided to share some of the verses that I have clung to during my days of camp. This summer I tried to keep a journal. The plan was that every night, after all my responsibilities were dealt with – I would write in my journal. No matter how tired I was, no matter how much I didn’t want to do that. I failed this plan very quickly. But, some days I did write. And a few times, I used my journal simply as a place to cry out to Jesus for strength. That seemed to be a theme throughout my whole summer (and all the days of my life) – needing Jesus. This entry was written just before the last week of camp began. Judging alone by the horrendous penmanship, it’s obvious that I was tired. And taking a look at the content of the entry, it’s obvious that I was actually exhausted. Typically, I would never in a billion years imagine that I would be sharing something I wrote in my journal with the internet, but Jesus has me all into this vulnerability thing now. I hate that I am happy camp is almost over. It has been a great summer – some not so great moments, but overall seriously incredible. There has been a lot of drama, confusion, disappointment and frustration. But there are so many things I am thankful for this summer, so many joyful things. So many moments of pure bliss. So many moments to share Your love. And I hope I took full advantage of these opportunities. But now, as we are almost finished, I am feeling so exhausted and so worn out. And it feels like I can’t do it. Jesus, help me serve you like it’s the beginning. Help me serve you with everything I am. There is one week of camp left. Let me give you my all, my best for this last week. Give me strength to push through. I love you Jesus, and I need you. Tears filled my eyes while reading this. I hope it doesn’t seem arrogant that I’m touched by my own journal entry. Truly, it is not the words that I wrote but the deep, loud feelings I felt during the time I was writing them. I am really glad I journalled a bit this summer – because I could conjure up a blog post explaining how I was feeling at that time, but I have actual documentation of what was going on in my heart and in my head. How cool is that? Later on in my journal I wrote that I really want to serve Jesus while I’m in Peru. Immediately upon reading those words I thought of this first entry. Help me serve you like it’s the beginning. As I thought about it more, I realized that this is still my prayer. Help me serve you like it’s the beginning. Not the beginning of camp. Not the beginning of Peru. The beginning of my adventure with Jesus. When I accepted Christ, I was so excited. I was so happy and I felt so loved. I was ready to do anything, give up anything, go anywhere with anyone, to serve Jesus. Because He was worth it, and He still is. Don’t get me wrong, I love Jesus more than anything in this entire world. But, as many Jesus followers experience, the excitement, the flame, has dwindled a little bit. I think about Jesus less. I talk about Jesus less. I learn about Jesus less. I talk to Jesus less. He literally died so I could live. Even further, he saw me where I was and yanked me from the path of death and destruction when I wasn’t expecting it. He cares enough about me to call me into a place where I live forever and gain the title of “Child of God” He calls me to know him. Who am I to know and be loved by the maker of the universe? HE ACTUALLY SAVED ME. He saved my life. There is literally nothing in this world that is more exciting than the love of Christ. I cried a lot of tears when I finally understood that Jesus truly did love me. It was a big deal. And it still is a big deal, I just sometimes forget how big. It’s a HUGE deal. The solution to this problem is to spend more time with Jesus, and I really need to do that. And I will cling to the prayer that an exhausted, messy, weak, sleepy Day Camp Director once scribbled almost illegibly in a journal: Help me serve you like it’s the beginning. A lot of the time, when I think of beauty, I think of the remarkable country of Haiti. Haiti is by far the most beautiful thing I have ever seen. The mountains. The ocean. The people. The love. I’ve been to Haiti twice, and both times it 100% took my breath away. There is something about this amazing place that just captures my heart and grabs my attention, and I see so much beauty each time. Even now, when I see a post on Facebook from a friend in Haiti, I feel such joy. There is truly no way for me to accurately describe how I feel about Haiti. It’s hard for me to choose the right words to say in this post because Haiti is not the same type of beautiful that you would experience when you go on “vacation.” Though it is a visually stunning place, it’s more the heart of Haiti that made me fall in love. The faces of Haiti are what makes Haiti beautiful. The first time I hopped on a plane to Haiti in 2013, I had absolutely no idea what to expect. In fact, it took a lot of fighting and a lot of perseverance for me to even be able to go on this trip. I will not lie, I was a little scared. But I remember getting so excited borderline emotional when the plane was landing and everything was so different. I had made it to Haiti. And I was so excited to see what God had planned. The rest of this blog post is on my lovely friend Tat’s blog — Check it out! It was the very last day of the very last week of camp. When I woke up, I prayed that God would just let the last day be a good day. A really good day. A seamless, spotless, uneventful day. We would all have fun, and the day would fly by. I knew that considering how the week was going so far, that wasn’t likely – there were lots of really young kids, and a few returning campers who had the tendency to throw fits and run off. But still, I prayed for a smooth day. And it was all going surprisingly well until about 10 minutes before lunch. I received a call informing me that there was a boy at archery pointing arrows at other kids and screaming at his leaders. I said I would come over there and deal with it. I knew exactly which kid they were talking about; and I was not impressed. This kid knew better, and I cannot count the number of conversations I had with this boy in an attempt to avoid this behaviour. But here he was, doing what he has done all week, one more time. I began walking over to the adventure area, and I was so ready to let this boy know that after lunch he would sit in the office by himself for a while. I was ready to walk him back to the pavilion and tell him to sit there while we chatted about what just happened. I reached the Dining Hall, and as I look over the hill I see him walking over the bridge. And then, I watch him climb a tree. When I get to where he is, I realize that his tongue is bleeding. Like,a lot of blood. When he fell out of the tree he had bitten his tongue really hard. In fact, he had bitten a huge gash into it. It must have hurt so badly. I helped him up and we started walking towards the nurse’s office. And as we’re walking, I am 100% insensitive. Meanwhile, he is crying and in so much pain, and for some strange reason, I’m not feeling sympathetic towards him. I’m just annoyed, frustrated, and fed up. And to top it all off, the nurse isn’t in the office. However. I knew I should feel bad, and I still didn’t. Truly, this was his fault and it was a repercussion of his actions. I’m still standing arms crossed, admiring the way Emilie is presenting herself to this frustrating boy. She is so sweet, and so loving, speaking so softly and with such gentle words. And though I felt somewhat convicted that I wasn’t being as patient and sensitive as her, I was also so glad that she was the one who was being sweet, and not me. Later, when all was said and done, and camp was over, I began thinking about this day more. And I came to this conclusion: Maybe God was providing patience through Emilie. Usually, I am freakishly patient. It’s one of the things I think God has really placed on me – the gift to be patient with literally just about anyone. But on this last day of camp, my patience was running out. And Jesus knew that. So instead he let me be grumpy and bitter and frustrated and instead used Emilie to be my patience. The body of Christ is a marvelous thing. We sang “Lord, I Need You” at camp a lot this summer, and without even realizing it, this song became my daily desperate prayer. Even on the second day of camp, I woke up thinking “There’s no way I can do this, it’s gotta be Jesus.” The second I woke up that morning, my heart felt dread and defeat and I prayed while I was half asleep in desperation. I didn’t even want to get out of bed because it was so hard and I didn’t want to face the day. I knew I needed Jesus to help me get through not only the second day of camp, but the next 9, long weeks. And He did. And it made it much more than just “getting through the days”. It didn’t become clear to me that this song became my summer’s anthem until the very last week of camp. During this week, we only have day camps running, and the evenings are directed towards our volunteer staff. We do lots of fun activities and even a guest speaker (Go Tim Teakle!) One of the benefits of this week is that everyone can actually focus on Jesus during campfire worship instead of making sure all the campers are behaving, and where they are supposed to be. On this particular night of staff week, I was standing at campfire, and everything seemed normal. 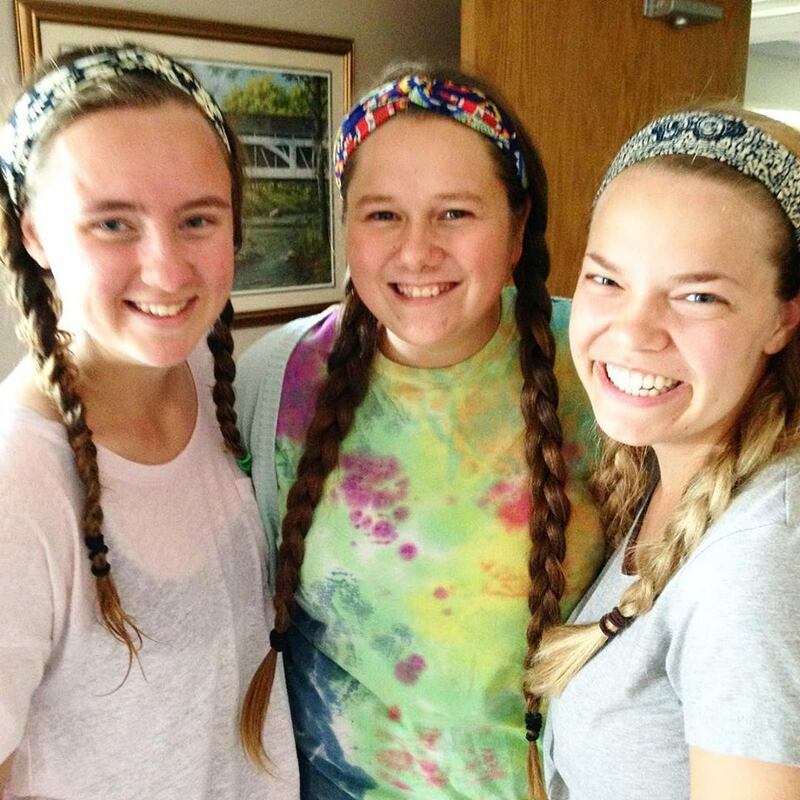 We sang some silly camp songs, danced a little, and laughed with one another. And then we began singing that song I had heard, sung, and led so many times in those two months of camp – Lord, I Need You. But tonight was so different. I could feel Jesus there with me so strong, leading my heart to sing the lyrics instead of just my mouth. And within the first line of the song, I was overwhelmed. Confessing that I needed so much help from Jesus this summer was something I hadn’t really done much. Often, I failed to recognize the one who actually made it all possible. But now that camp was almost over, I could bow before Jesus and find rest, and take refuge in him. He had been my hiding place all summer, and I was beginning to understand that through this song. And when we reached the chorus, I wanted to melt into a puddle. The realization of how Jesus carried me through the summer was just so overwhelming. When I felt that I could no longer contain what my heart was screaming at me, I left campfire. Even as I walked away I felt it all rising up and the moment I was out of sight and passed the Bonzai tree, I sobbed. I sobbed and I thanked Jesus for carrying me through the summer. For being there every hour – I literally needed Him every hour. I thanked him for walking with me. For giving me the strength, and the courage, and the bravery to do the work that He had planned, the work that my flesh alone could not handle. For providing the joy, even when everything was chaotic. I thanked Him for simply loving me. And reminding me that I don’t always have to be all those things that I “am” at camp. I don’t always have to hold myself together and pretend I don’t feel anything. This whole summer He had been teaching me about vulnerability and it was such an uphill battle. But I went to my room, and I paced, and I cried, and I thanked Jesus. Eventually, I returned to campfire, hoping that it wasn’t obvious I had been sobbing. But I decided that I wouldn’t mind if people asked me what was going on – and that I’d be willing to share what Jesus was doing with my heart. That’s what this whole vulnerability thing is all about. On the very last night of campfire, I got to sing with my incredible friend, and we sang “Lord, I Need You” one last time for the summer. This time, I clung so tightly to these words as we sang them. The day started off like any typical day of camp would – I woke up, stumbled to the Dining Hall to get some coffee, gathered all the things I needed for the day, and then went over to the pavilion to wait for the campers to arrive. But today, halfway through sign-in, something was not right. I felt as if my stomach might explode, and every conversation I had with a parent resulted in me trying to hide the fact that at any given moment I might vomit. I would not allow myself to be sick. I needed to do my job, I didn’t want to make someone else do it. I told myself I would be okay. After sign-in was over, and all the campers were headed to their first activity, I went to go get something from my room. While I was there, I vomited…. 3 times. With tears streaming down my face (it’s a thing I do when I’m sick), I went to lay down in my bed for a few minutes, hoping this would help. 5 minutes later I had to run back to the bathroom to vomit once again. I texted Felicia to tell her what happened. And when she came in to see how I was doing, I started crying. She told me to sleep for a bit, and see if I feel better by the time devotions happen. Which meant someone else had to run lunch. The. Most. Chaotic. Time of the day. I cried again. (I’m shockingly emotional when sick) I felt so guilty that someone else had to do my job, because honestly, it’s a hard job (in my opinion.) And I didn’t want anyone to feel stressed because they aren’t used to it. Nurse Emilie came into my room to take my temperature. She asked me how I was doing, and I cried once more. The next person who walked into my room made me cry the most. It was almost lunch time, and my seriously incredible friend Aliza came into my room, and said “Don’t worry about lunch, or devotions or anything. Tat and I will do it. You just get better.” I think I tried to argue with her, telling her I might get better before but she told me to stop worrying. I think I’m most vulnerable when I’m sick so this was a really strange side of me that all of these people were seeing, and I felt bad about that too. I apologized that she had to do this, and she told me to stop apologizing. She told me not to leave my bed until I was feeling better, and if I had to stay in bed all day that was okay. And when she left, I rolled over in my bed and cried some more. (I know, very dramatic.) Part of it was feeling guilty that I was sick and they had to deal with the crazy Day Camp life, and part of it was that I felt so cared for in that moment. There was no question in Aliza’s mind about whether or not she would do this for me. I slept for some time and when I woke up, I vomited again. At this time in the day,the day campers were getting their candy from the tuck shop. I still felt awful, but I felt obligated to go and take over for Tat and Aliza. “You need to get back to bed!” Tat said to me. I wanted to cry again. “Are you sure?” I managed to force the words out of my mouth. “Yes! Aliza and I can handle sign out.” I said okay, and probably started crying. Then I went back to bed. At dinner, Aliza came over to my room to check on me. She asked me if I wanted to bring me some dinner, and she did. For the majority of the summer, I wanted everyone to think that I could handle everything on my own. But I also wanted them to think that I didn’t think I could, and I was just being humble. It’s sort of a pride thing and part of me can’t believe I’m actually admitting it. This summer, Jesus taught me a lot about vulnerability and authenticity. He actually used Aliza and Tat many times to teach me. Vulnerability is not pretending you’re okay, and always pushing on when you think your insides might fall out. Authenticity is not handling everything on your own and persevering at all costs and never letting anyone else deal with your issues. Authenticity is being real and honest about what’s going on and admitting that sometimes you just can’t do it. There were a lot of people who helped me through this hard, amazing summer. And I’m really glad that on this day when I was sick and my sweet friends covered for me, that it really does take a village to run camp. Thank you so much to everyone who helped me through some of the really rough days this summer. And thank you to those who let me help you do the same. To all the volunteer staff who worked on Day Camp — just by simply showing up and being a leader to these kids you have done something HUGE to help run camp. We literally could not run camp without our amazing volunteers. When it`s all said and done, I am so happy that it takes a village to run camp. 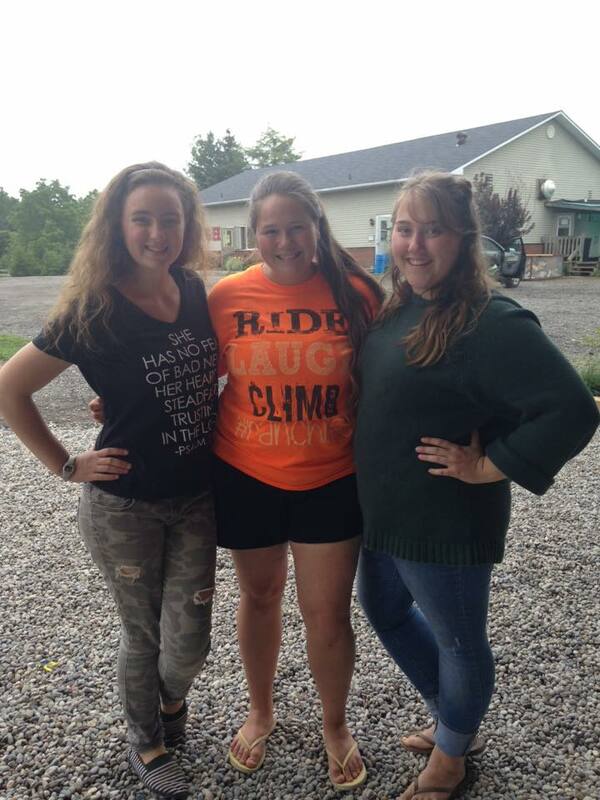 These two are more like family and I love them both so much! Thanks for taking me on an intense hike that literally almost killed, and thanks for making sure it actually didn’t kill me. The best sandwich out there. White Wonder, Ham, Peruvian bread, Pumpernickel!